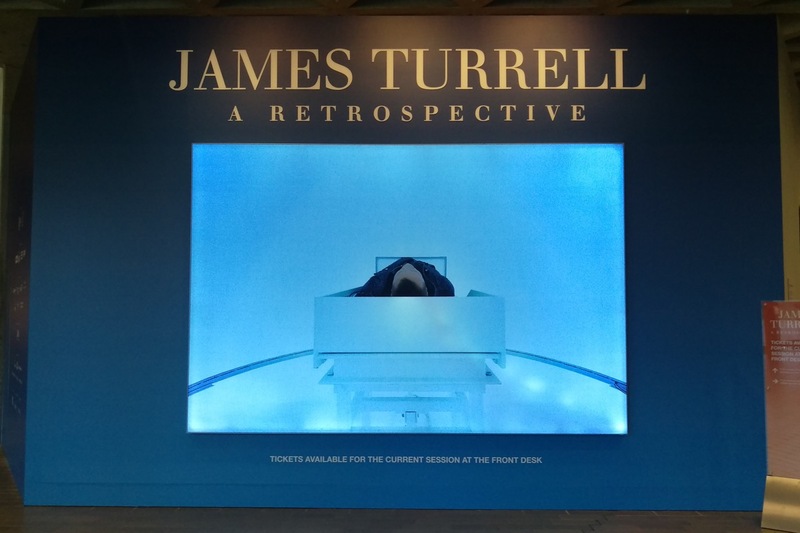 When I heard the James Turrell Retrospective, I hesitated to buy tickets. It was stupid, I know, but I needed to know about when contracts might be starting or ending, whether I was required to work or not. It was a matter of time and space. 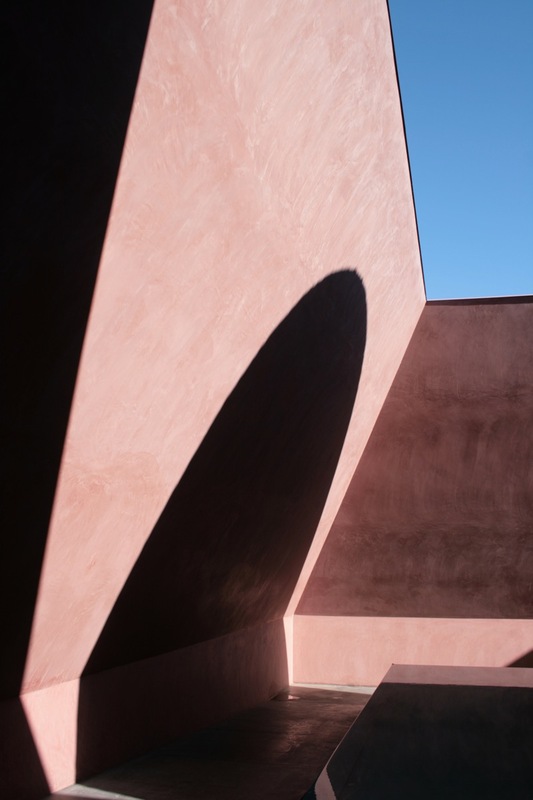 James Turrell is currently undertaking a massive piece of work, reshaping the Roden Crater and the surrounding area to create an enormous naked eye observatory. 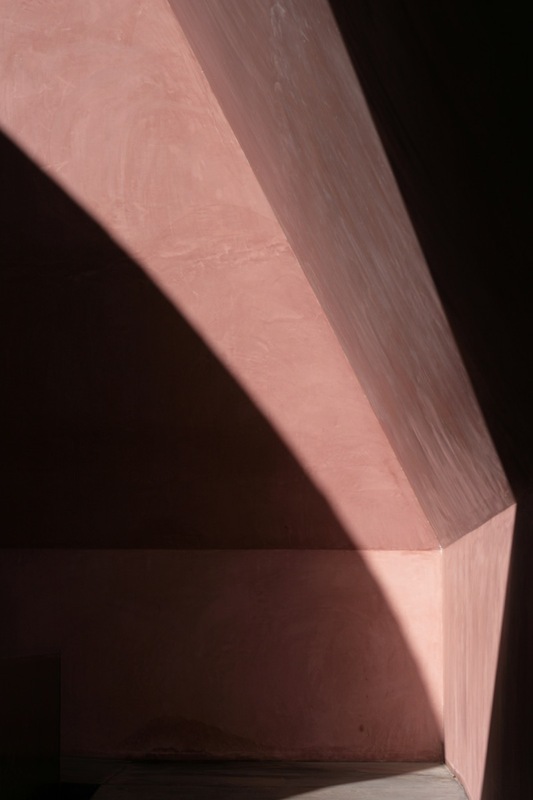 The Retrospective currently held in the National Gallery of Australia, shows a body of work that delves into perception and paradox through the use of light, time and space. When I did finally book the ticket, one that included a session in the Perception Cell, it was among the last few available. I took the entire day off to completely enjoy something I might not see again in twenty years. It was a day well spent. 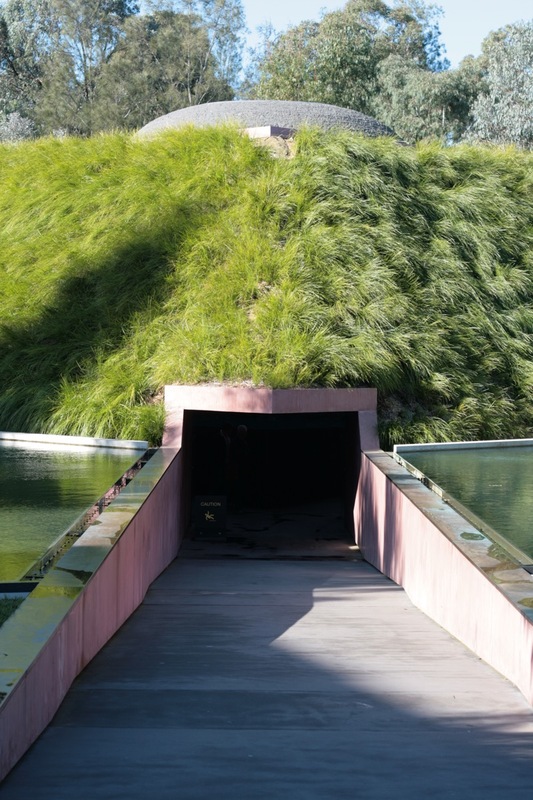 Turrell is known for his installations. His Within Without Skyspace has been around for nearly five years. 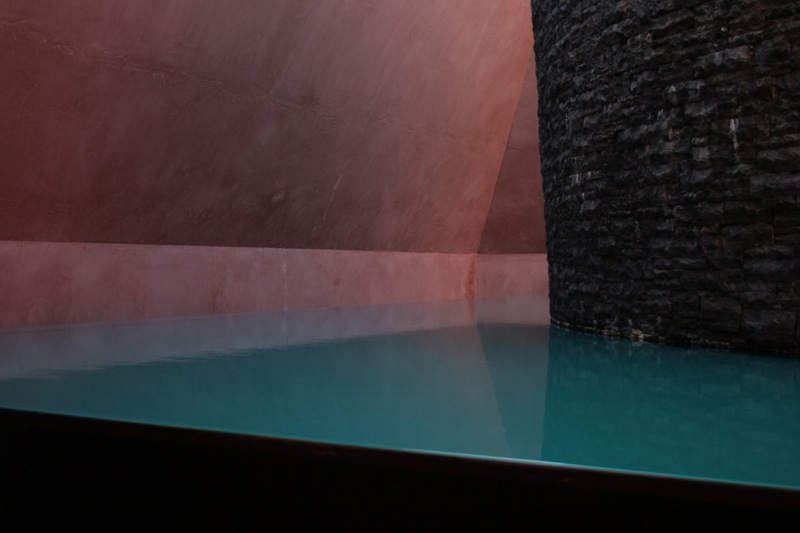 Within Without is a structure designed to tweak at the senses, warm on the coldest day, and the cupola changes colour depending on the time and weather of the day. The Retrospective itself contains several installations and other work at an attempt to reflect upon a career nearly spanning fifty years. The first thing I saw at the exhibit, was the Ganzfeld room featuring Virtuality Squared. It’s a large space split into two rooms. The entry area contains some seating and ziggurat-like stairs that lead into a room composed entirely of colour. Ascending the stairs and crossing the threshold of the room, you become immersed in coloured light, which cycles around on the spectrum. 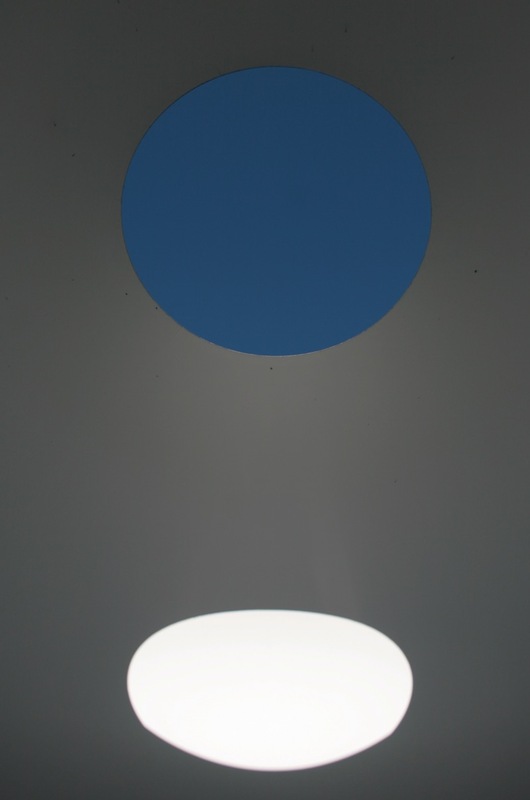 The room itself has rounded walls to eliminate most of the hard edges, and under such intense light, can give the illusion of an infinite space, a room without walls. Looking back at the door, which sits beneath a squared arc of solid light, you can see the waiting room beyond. And here’s where the tweaks to your perception comes in. The room beyond is lit with white light. But under the intensisty of the colour of the Ganzfield room, the waiting room looks like it is as intensely bathed in a colour in contrast to that of the Ganzfield room. If you are under pink light, you see a dark green. Under blue light, the waiting room becomes orange. Making my way around, I look at other installations. Raemar is a contiguous border of fuchsia-coloured light, Shanta is a blue cube, an optical illusion, cut into the wall itself. *After Green* is a construction that messes with depth perception, a false hologram of sorts with minimal light floating in the dark. Likewise *Orca* is a false painting, there is nothing but a light that your not sure is even there. 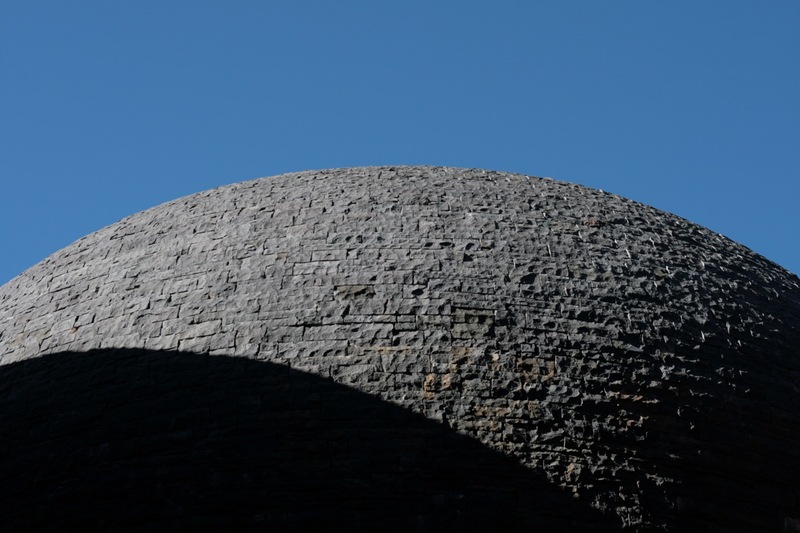 Then there is all of the survey and construction work performed on the Roden Crater to turn it into a contemporary equivilent of Jantar Mantar, or Tycho Brae’s Stjerneborg. 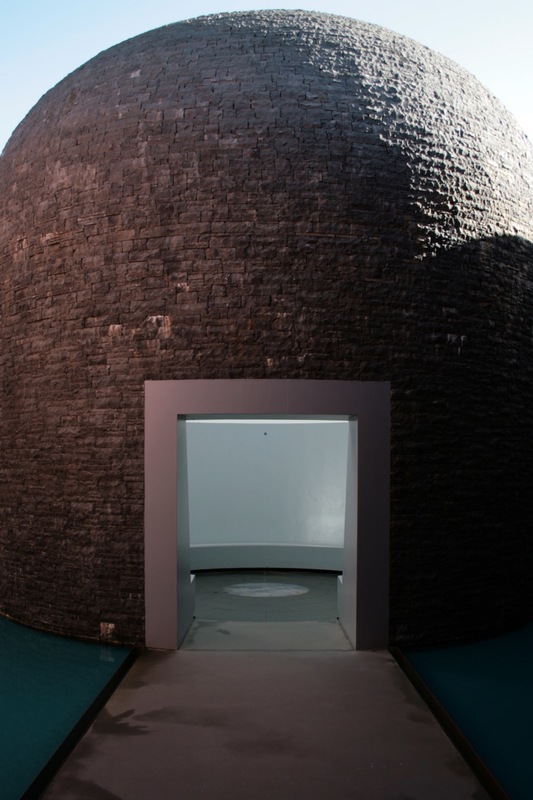 The site will feature chambers and apparatus to observe the sun, moon and sky. Needless to say, I intend to go one day. Lastly, there is the Perception Cell. The cell is running a work called Bindu Shards, which is a programme of strobing light. The Cell itself is a large spherical dome, with a bed that slides out just below the top hemisphere. I was asked to sign a waiver that ensured that I didn’t suffer from claustrophobia, epilepsy and currently not carrying a pacemaker in me. And then I was asked whether I wanted the soft or hard program, depending on how fast I wanted the strobing to perform. I had to go with hard. I laid on the bed and they slide me into the cell. I was wearing headphones and one of the attendants gave me an emergency button to pull me out if something went wrong. The headphone gave out an attenuated, ambient sound, its frequency matching somewhat to the strobing of the light. Soon enough patterns began to emerge. Geometric shapes, mostly triangles, gave way to flying through a curving square tunnel towards fractals that dance into the formations of snowflakes to delicate white and purple strobed static chaos to a red wireframe-like object of substantial size and weight. There is no sense of depth within the cell, and I found that when my eyes defocused, I had to put my hand up in front of my face to simply have another object in the space with me. Time passed strangely in the Cell. Ten minutes seemed at first to take an eternity and that eternity was then all too short. I heard that sessions for the Perception Cell are all booked out, but check out the exhibit before it leaves town. It will probably be long time before you see its like again. 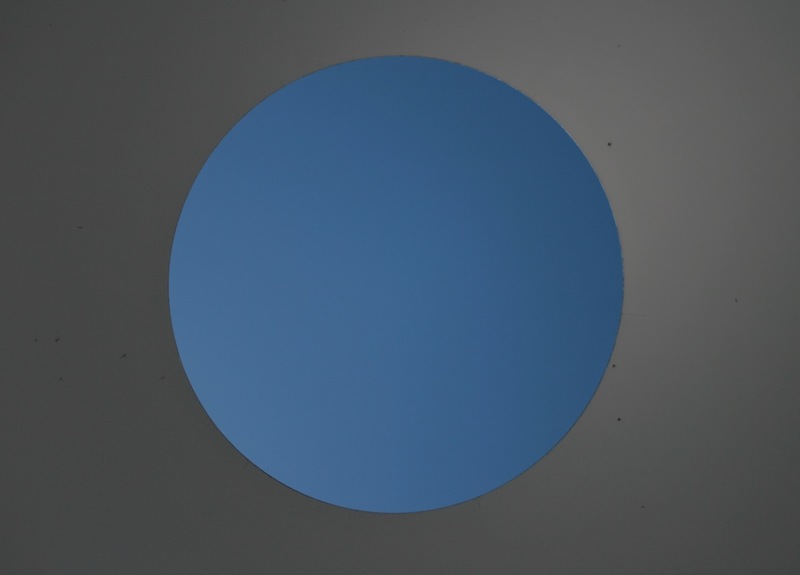 This entry was posted in art and tagged art, james turrell, light, mindfuck, national gallery of australia, nga, space, time. Bookmark the permalink.